If you're looking for a scrumptious, easy meal for dinner, why not try some veggie crumble lasagna? Pair it with a baby green salad and a light vinaigrette, and it's sure to be a hit. The recipe calls for mozzarella cheese, and otherwise healthy ingredients. Mixed together, this lasagne boasts a delectable Italian flavor. 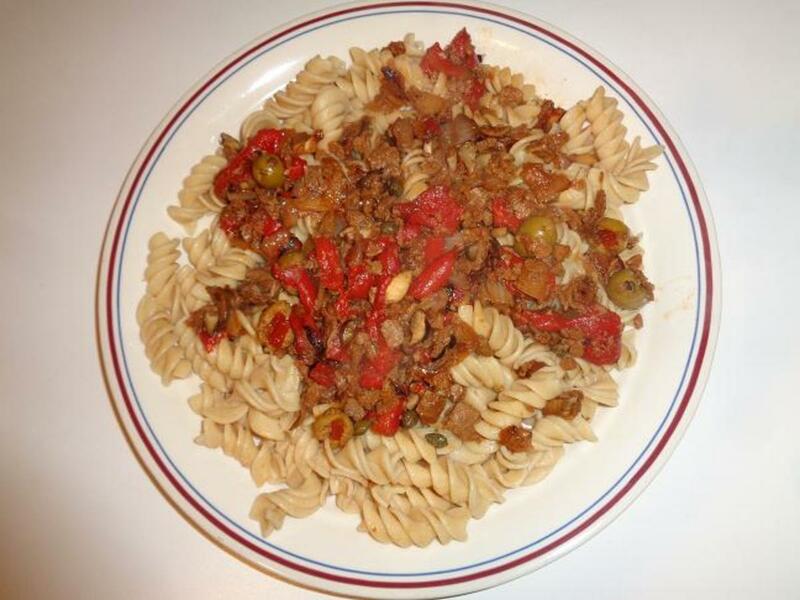 The veggie crumbles act just like meat and taste very similar to it. I'm not a vegetarian, but I try to eat healthfully and use veggie crumbles in a lot of recipes that call for beef. It's basically a 1:1 substitution. This wonderful lasagne recipe featuring veggie crumbles, coupled with a fresh salad and a great homemade vinaigrette dressing will make your taste buds dance with joy. 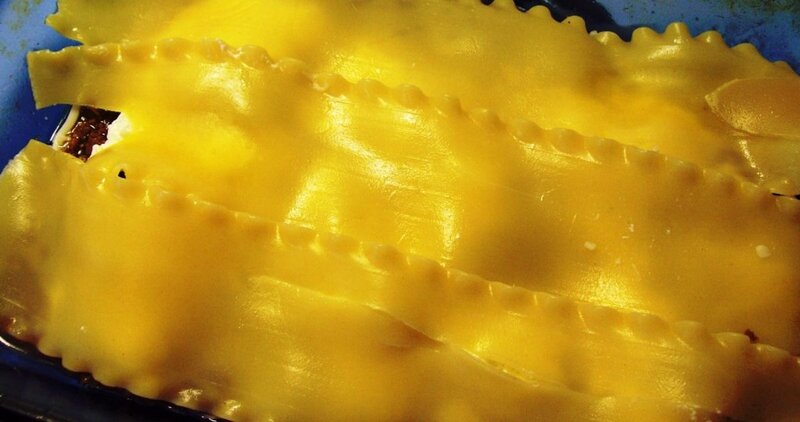 Cook lasagna noodles according to package instructions. 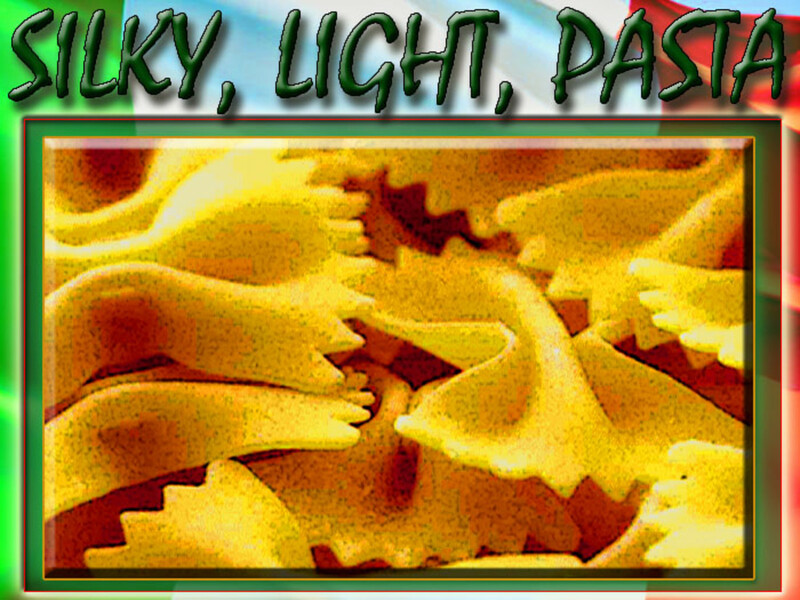 You'll need about 9-12 pasta strips. Preheat oven to 350. Grease a 9x11 pan. 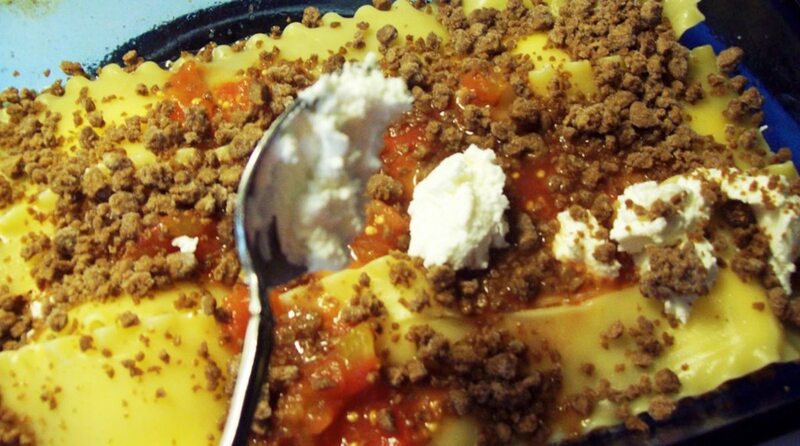 On bottom layer, spoon about 1/4 can of the crushed tomatoes into pan, then top with a thin layer of veggie crumbles, a thin layer of the ricotta cheese, and a thin layer of mozzarella cheese. Top with three lasagna noodles, side by side. Repeat step two until you have three or four pasta layers. End with three strips of pasta on top. 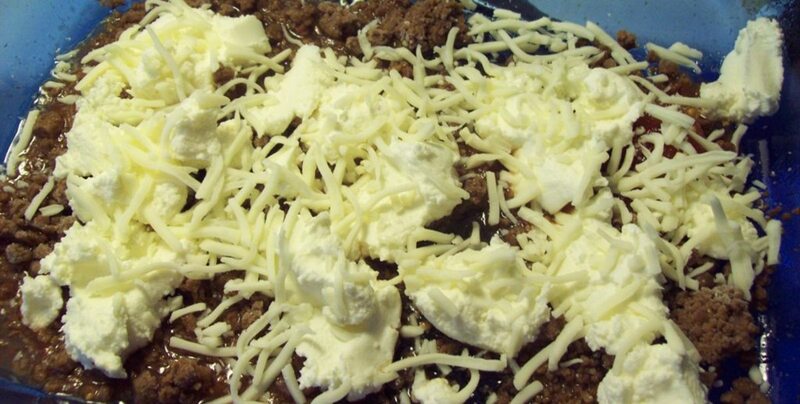 On the top layer, spread the remaining mozzarella cheese and about 4 oz. of the Parmesan cheese. 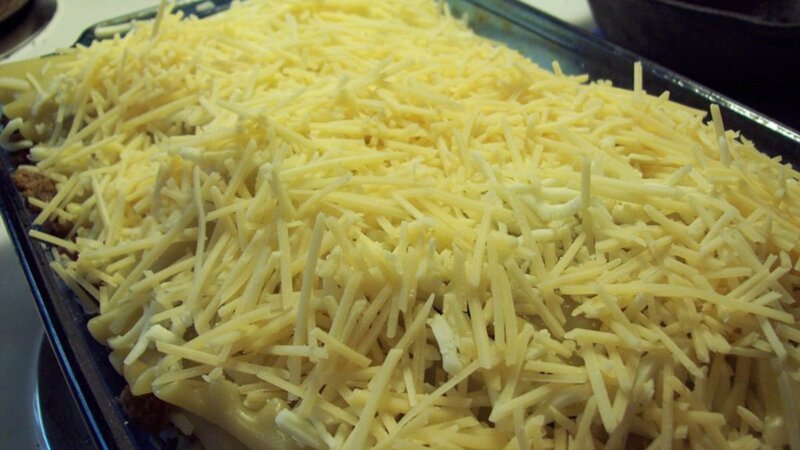 Bake at 350 for 35 minutes, or until the Parmesan cheese begins to brown on edges. If you want to try something different, you can add sauteed onions, sliced olives or spinach to the different layers. Add a few minutes to the cooking time so it all can heat sufficiently. 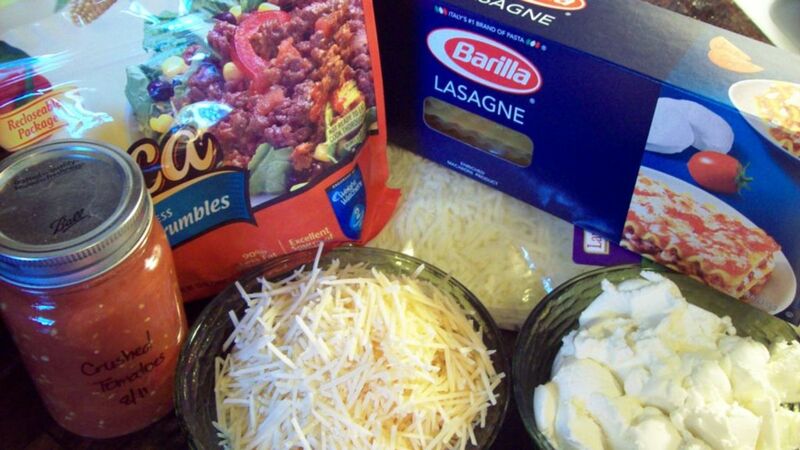 There's no need to thaw the veggie crumbles before adding to the lasagna. 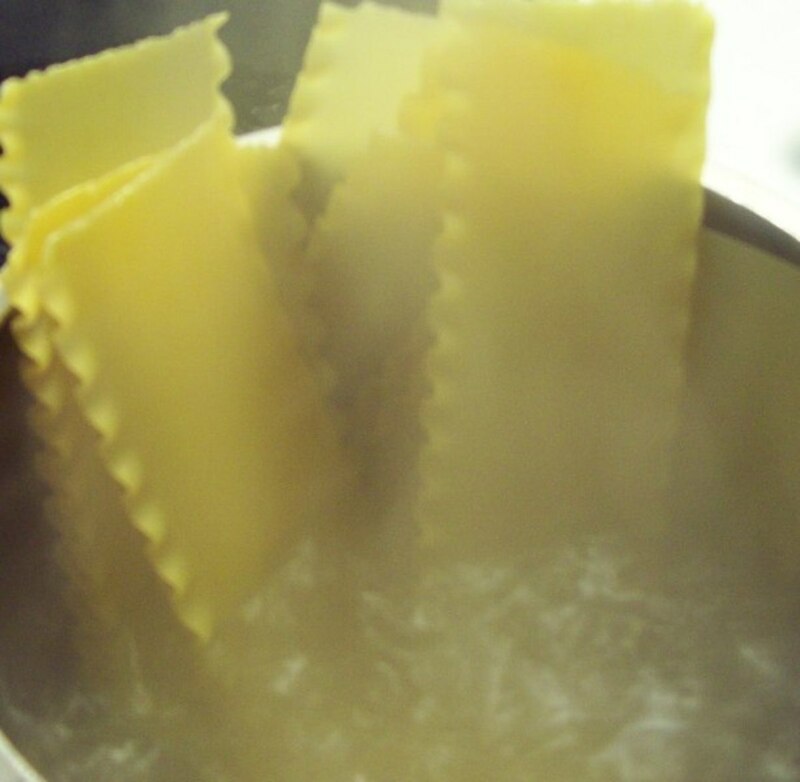 Adding olive oil to the water helps prevent the water from boiling over and keeps the noodles from getting too sticky. 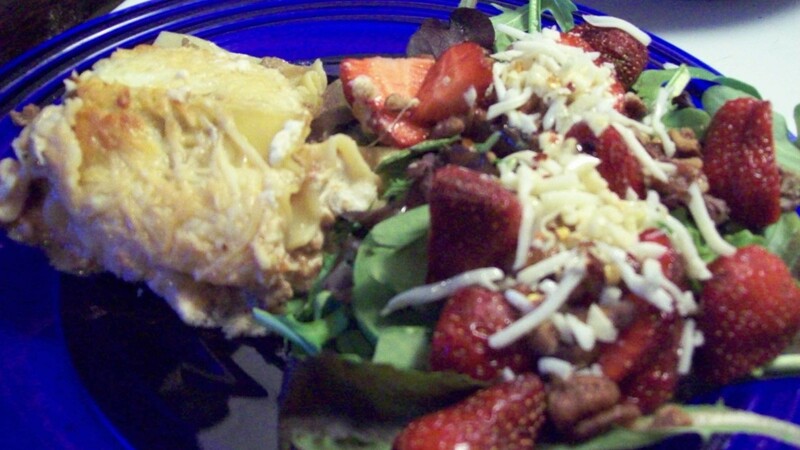 Mix spring mix baby greens with pecans and cheese. Serve on plates. Top with strawberries. Add vinaigrette if you wish. Mix oil and vinegar first. 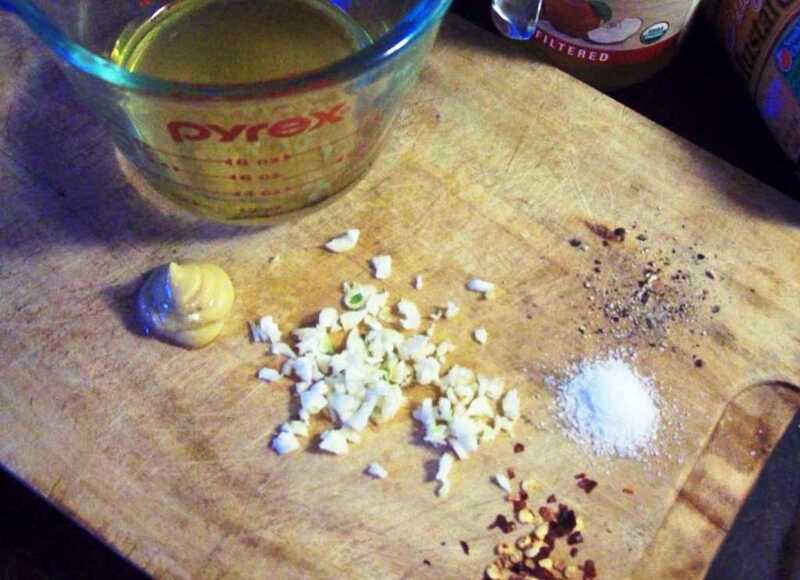 Then add the rest of the ingredients and mix well. This recipe will serve 4. Veggie crumbles are a great source of protein. They have 13g of protein and 70 calories per serving. Veggie crumbles are made from soybeans. Consuming soy is good for you because studies show that it can help lower LDL cholesterol levels. If you think soy is a new trend, think again. It's been around for a long time. The Chinese considered them a sacred grain as early as 2838 BC, according to the Boca Meatless Crumbles website. Parmesan cheese originally came from Italy. Cows that are fed only hay or grass produce the milk needed for this type of cheese. Usually Parmesan is aged 2-3 years before going to market. The harder it becomes, the better. Mozzarella cheese also comes from Italy. It contains lots of moisture, so it's better to eat it immediately. 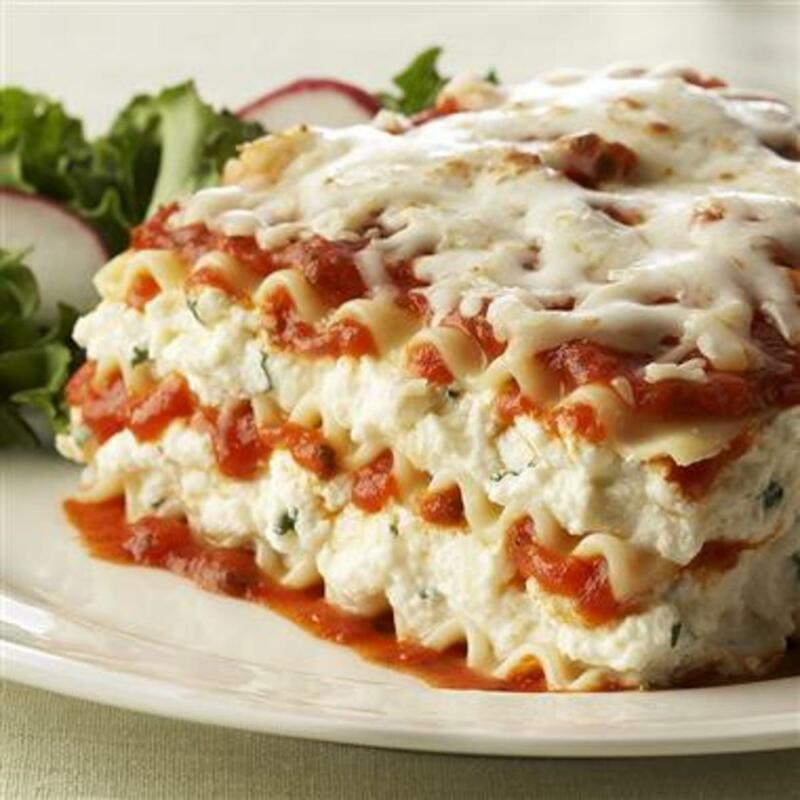 Mozzarella with a lower moisture content is better in dishes like lasagna. Hey, Glenn! Good to see you! This looks like a fun thing to make. I'm also like you, not really a vegetarian but I always eat healthy. 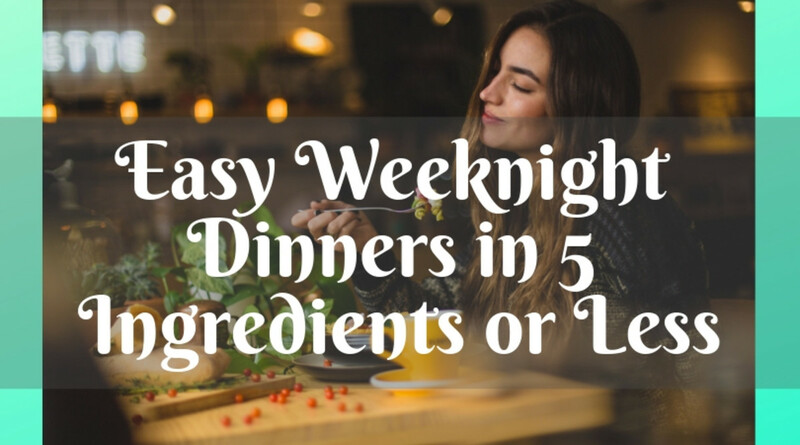 I look forward to trying your recipe and I like the variations you've included as well. Nina - oh yes! Just treat them like another layer. Add the sauce, crumbles, cheese...then the onions, then the mushrooms. :) Cook for the same amount of time. You should be good to go. Can I add onions and mushrooms to this do you think? Cynthtggt - thank you. I love my veggie crumbles. I probably eat them at least once or twice a week. :) I appreciate your feedback. This hub looks delicious, the pictures and the recipe, which I'll be sharing. I wish I could take such beautiful pictures. Congratulations on such a beautiful and well presented hub. Fiddleman - thank you! Enjoy! Sharing this recipe with my followers + tweeting even though I have never used or tasted veggie crumbles. I can attest that vegetarian lasagna is delicious however. 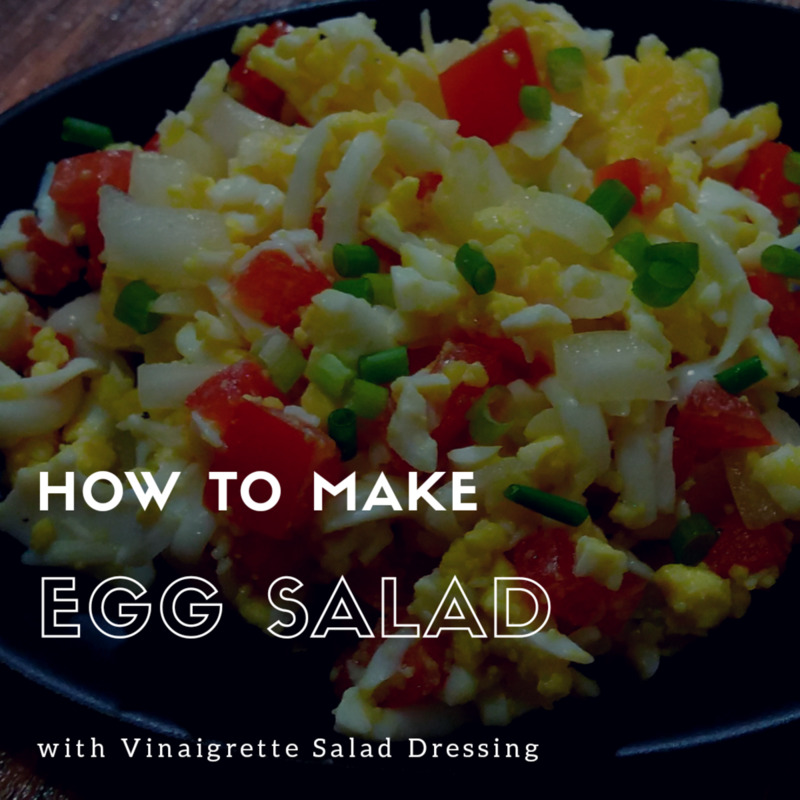 Your recipe sounds good and your salad dressing with the homemade vinaigrette is similar to one that my husband often makes which is really good. Thanks for your recipes! Looks good and a great idea for dinner! I LOVE veggie crumble! But I would add lots of oregano and a little garlic to the tomatoes. :) But this sounds really cheesy and right up my alley. Voted up! Brainy Bunny - hi there! 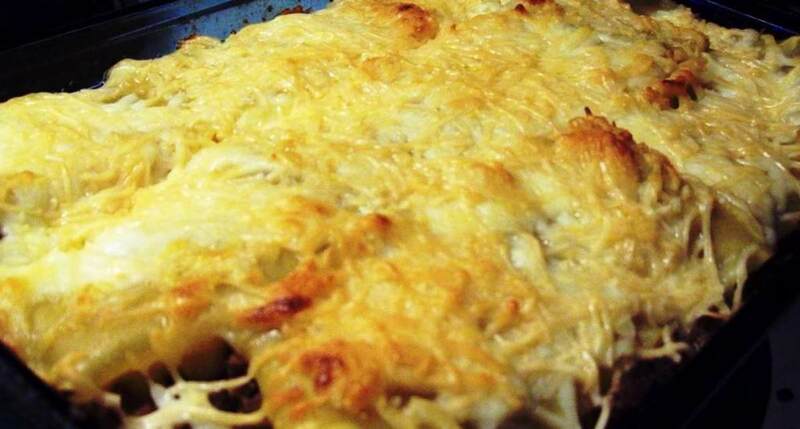 Oh, this is truly yummy - I make lasagna at least a couple of times per month because it's such a hit. Hehe. 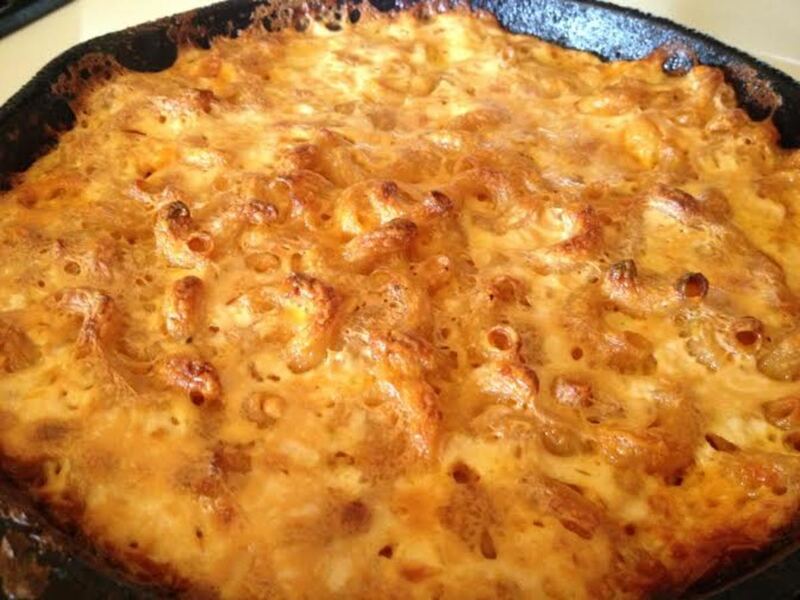 But, now you've got me craving mac and cheese...with veggie crumbles. :) Hmmm...another hub idea. :D Thanks for stopping by. Cheers! MMmmmmm. Sounds yummy! I cook with veggie crumble all the time, but for some reason I've never tried making a crumble lasagna; I usually just use cheese and veg. I'm going to try this soon. Teresa - hey there! Great to see you! That salad was so yummy, I've been eating variations of it for days. :D The veggie crumbles are a staple in my diet - I love, love, love them. :) I hope you can get them up in Ontario. I will definitely have to give this dish a try but your salad too was more of an eye catcher for me. I had not heard of veggie crumbles. I will have to check around for them here in Ontario! Excellent photo lay out also. Good to know, Daisy! :) My nearest Target store is 30 miles away, so I rarely make it over there. I wait until the crumbles are on sale at my supermarket and stock up. Hehe. I'm a vegetarian, and I frequently use the Morningstar Farms brand of veggie crumbles in my recipes. Thanks for publishing this great article. If anyone is interested in trying veggie crumbles, the Morningstar Farms brand is sold at Target and is a lot less money in their frozen food section than in a regular supermarket. Voted useful and interesting. Thanks, CC, for another alternative. 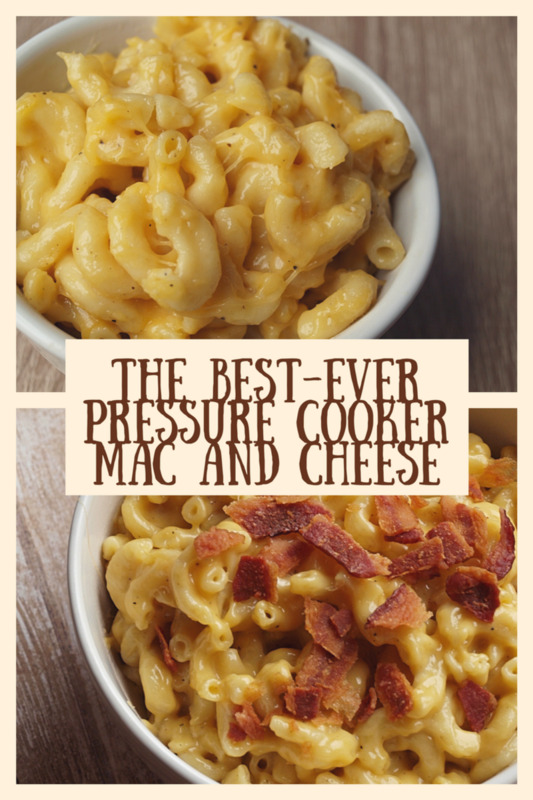 I think I am going to make this tonight! It looks yummy. 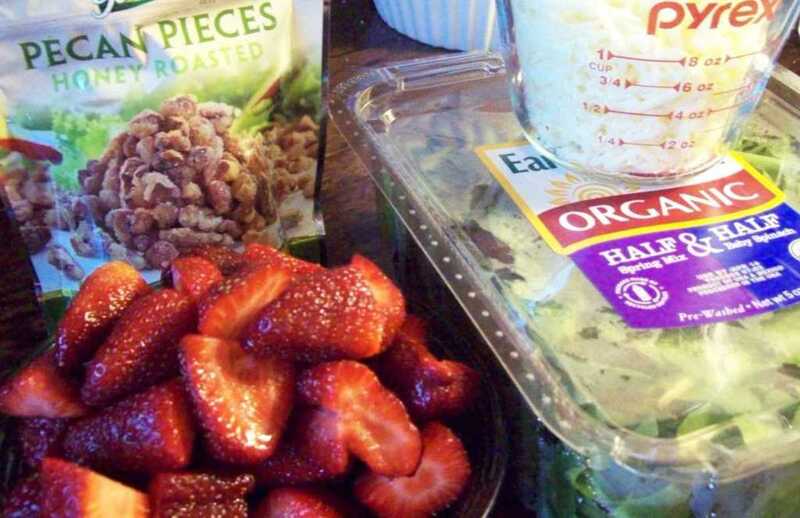 The salad is my favorite salad: fruit and greens with a sprinkle of nuts. Mmmmmm. Thank you for posting this wonderful hub! This is the first time I really understood what veggie crumbles were all about! Thanks for teaching this old dog a new trick! I can't wait to put this recipe together! Someone in my family has a problem with eating tomatoes, so I will have to substitute with Tomatillos. 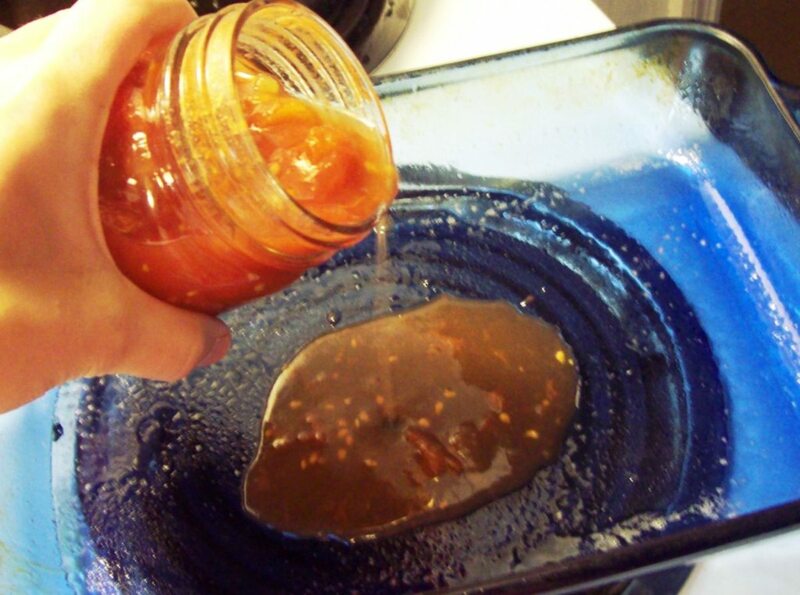 It has worked great in tomato recipes in the past. Great Hub, CC! I had a really good chili made with veggie crumbles, and I didn't even know it was a meatless meal. I enjoyed the taste. I can see where this would be perfect in lasagna as well. I would really enjoy a piece today. Thank you for sharing the recipe! It sure looks delicious, and I eat very little meat so this would be a great recipe to try. Thanks for the recipe! 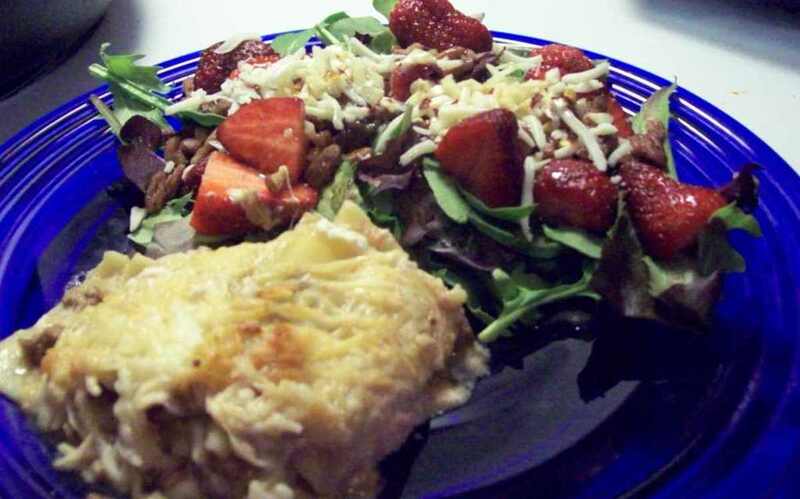 It looks delicious, and I definitely like recipes that don't take a lot of time to prepare! 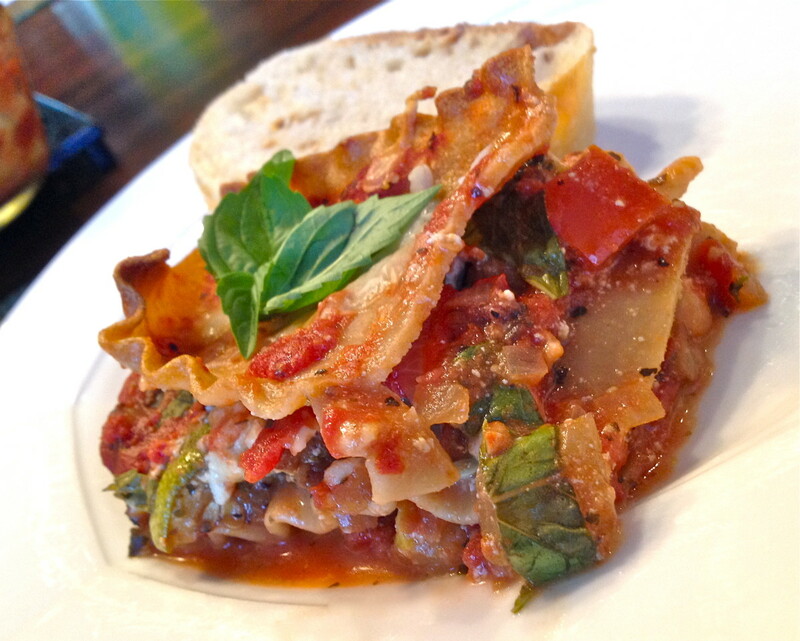 This lasagna looks delicious - must try this out! I was about to ask you where you get the veggie crumbles but I see the answer up above so thanks :) This may be just the recipe to sneak some veggies into my boys' bellies without them knowing it! Thanks for the recipe - voted up and tweeting! Vicki - Hi there!! Veggie crumbles are like "ground meat" but they're not meat. They're made from soy. So, they look and act like meat, and taste pretty much like meat, but they're a vegetable. :) They're in the frozen foods section of the supermarket - you can get Boca, or MorningStar as the most common varieties. That looks awesome! Well presented hub, too. Very attractive. Hey, what are veggie crumbles? I've never heard of that. The salad dressing looks awesome, too! Have to share this one. Many votes, too! Cara - link, link! Sweet! I will also link to yours. I've just popped on here for a few moments while I'm here at work, but when I get more time, I will link to yours this evening. :) Yum!! Great Hub! I like lasagna a lot and have used the frozen vegie lasaga before. I did not know what Veggie Crumbles are, so thanks for adding that info. The salad dressing sounds really good. I will surprise my wife with this. I've never heard of this type of dish before but it looks delicious and sounds healthy. Voting this Up and Useful.